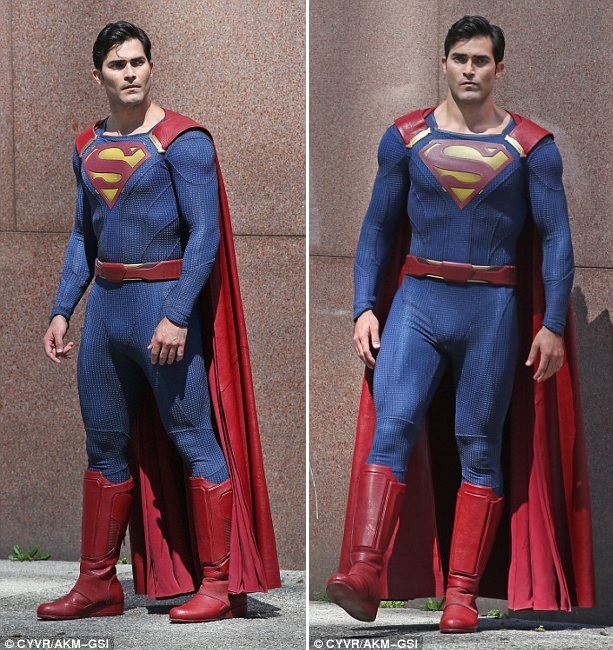 Yesterday his Superman costume was revealed on a poster for the new season of Supergirl. 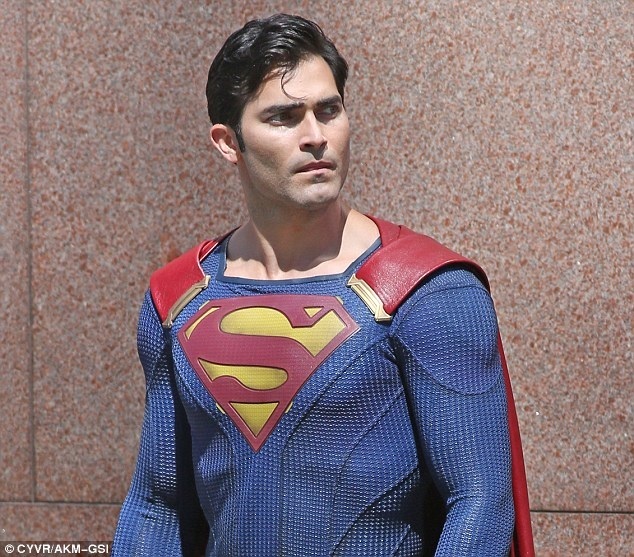 And on Friday, Tyler Hoechlin donned the iconic costume as he made his debut as the new Superman on the show, which has moved to CW after a first season on CBS. The 28-year-old Teen Wolf actor looked right at home in the textured blue bodysuit, red boots and iconic red cape. 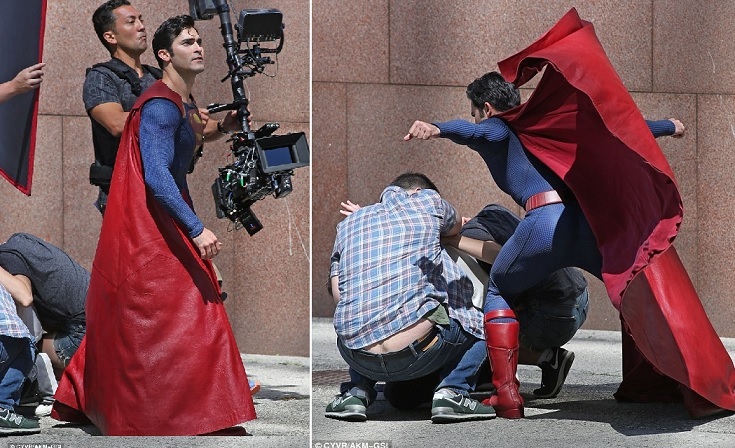 Of course the stretchy material also showed off his bulging biceps and toned physique. Tyler even sported the quintessential singular black curl which dangled in front of his forehead.